In what will come across as a really shocking development, a woman's dead body has fallen out of her coffin during her funeral. A pallbearer stumbled and fell on top of the coffin as it was being lowered into the ground in front of mourners. 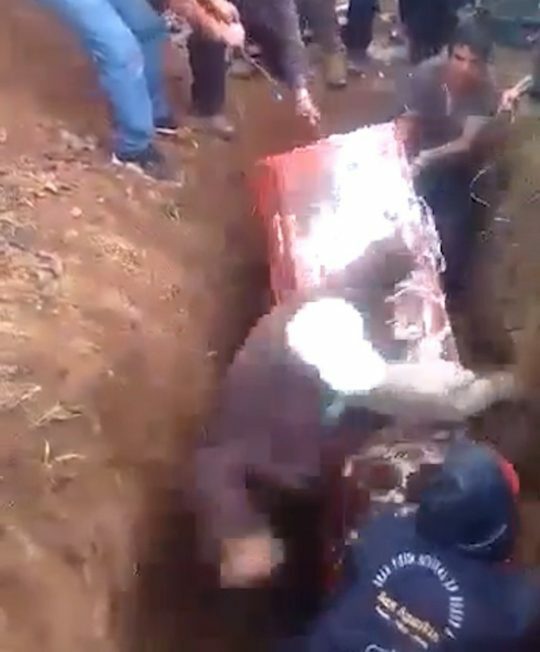 People wail in shock while others desperately try to prevent the woman’s corpse from falling out in the district of Pampas, Peru.